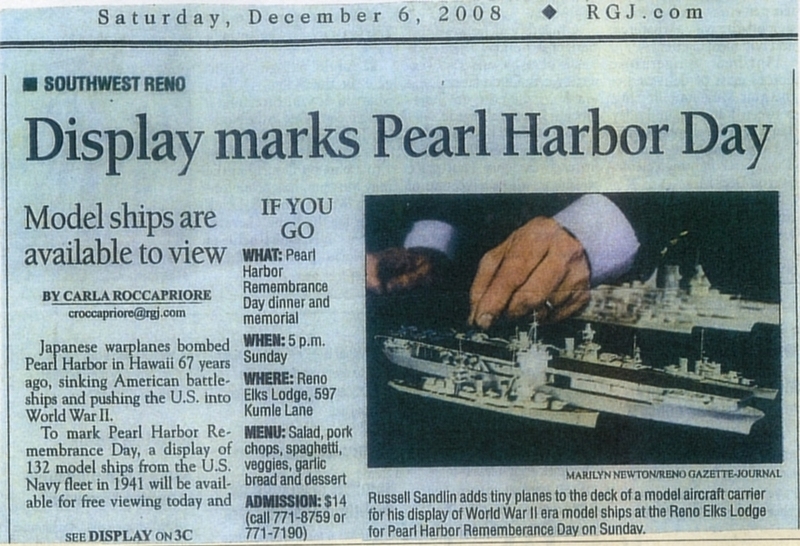 Elks Lodge Reno, Nevada conducted 67th Anniversary of Pearl Harbor Commemoration Banquet. 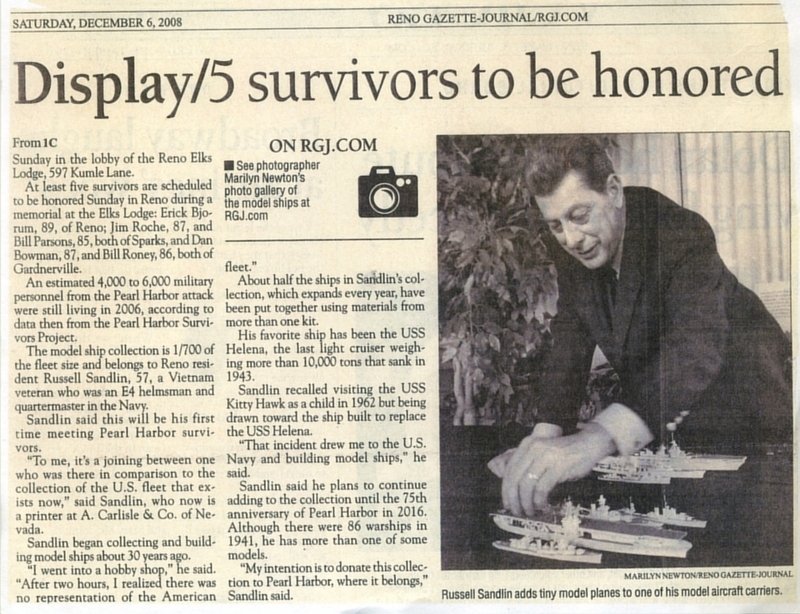 The event included US Fleet 1941 ship display. The Reno Gazette Journal, Channel 2 CBS, and Channel 4 NBC covered the story.